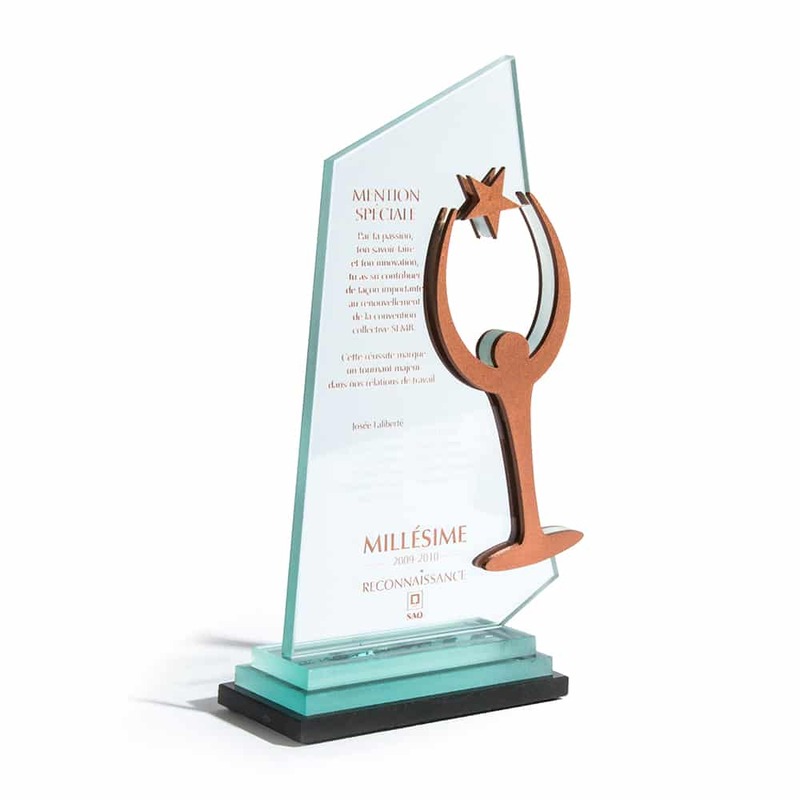 This prestigious trophy highlights the exceptional contribution of employees and teams within the SAQ. 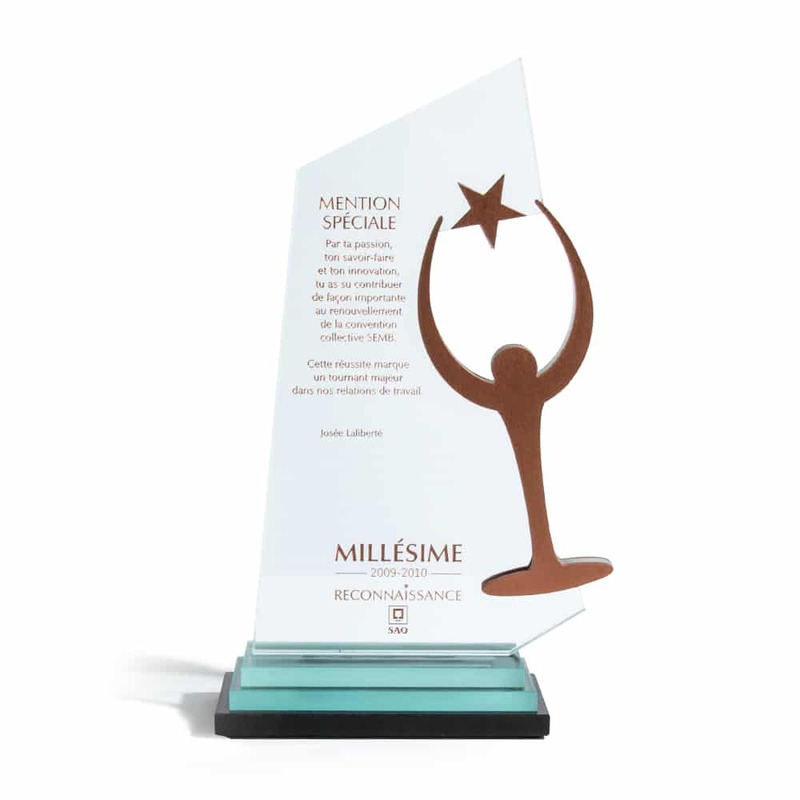 The body of this trophy is constructed with water-jet cut glass which depicts the logo of the Millésime program, forged in aluminum, which is additionally water-jet cut. The information is sandblasted in the glass and is subsequently colored by bronze filling. The trophy is arranged on an impressive base of glass and black granite.